It’s been almost 3 months since my last blog post so I thought I would update you on what I’ve been up to and how the season is progressing. I’m currently at home in Dublin and taking a bit of time off to rest my body and mind before I begin preparing for the next 5-6 months on the road. It’s hard to believe we are halfway through 2015 already, I feel like things are moving faster than ever so it’s nice to have the opportunity to take a few days off to step back and relax. Ireland is a lovely place to be this time of the year so I’m making sure to get outside whenever the weather is good. I live next to the Phoenix Park which is one of the largest parks in Europe and I like to spend time there whenever I’m off the road. It is an incredible park, 1,752 acres in size and home to the famous Dublin Zoo. I usually just cycle around the park or follow a few trails and I find it a great way of rejuvenating. Life on the tour can be intense at times, competing week after week, and most weeks I look for a place to chill out wherever possible. Sometimes it’s the beach or a lake and other times it’s the mountains or parks, anything that involves nature really! I’m currently at a career high ranking of #146 in the world after having some consistent results during the clay and grass court season on the Challenger Tour. 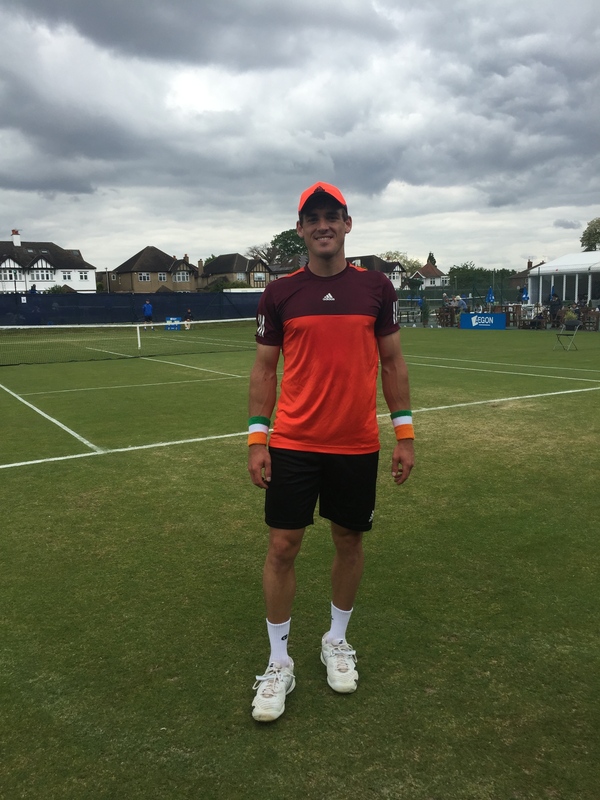 Since my last blog post from Mexico, I went on to make the quarter-final of a challenger in Sarasota, the final in Savannah and two Challenger semi-finals on grass in Surbiton and Ilkley in June. I lost to the eventual champion in 3 out of 4 of those tournaments and I feel I have gained a lot from these experiences. All these results have helped push my ranking up a bit more which is positive but I always feel I can do better. I have made improvements in my game over the past few months and I believe I still have a lot more to improve, both on and off the court. So much of tennis is about fine margins and I am always looking to get a little bit better everyday. I would like to take this opportunity to thank my sponsors for their wonderful support as I would not be making progress if it wasn’t for their help. Even though I am top 150 in the world, I am still spending more money than I’m making and it would currently be impossible for me to maintain my career on prize money alone. I appreciate the generosity and belief my sponsors have shown in me and I sincerely thank all of them. When I first had dreams of becoming a tennis player, I didn’t have a clue about what was involved financially but I understand it now and I have a great appreciation to the sponsors who have helped and continue to help me. Check out my blog post from 2013 where I write about financing the tour which will give you more of an insight into costs involved and how I scraped by for a few years without much sponsorship. I would obviously love to be playing Wimbledon at the moment but unfortunately I didn’t qualify in. It was a tough loss to take but if tennis has taught me anything, it’s that you have to move on as quickly as possible. 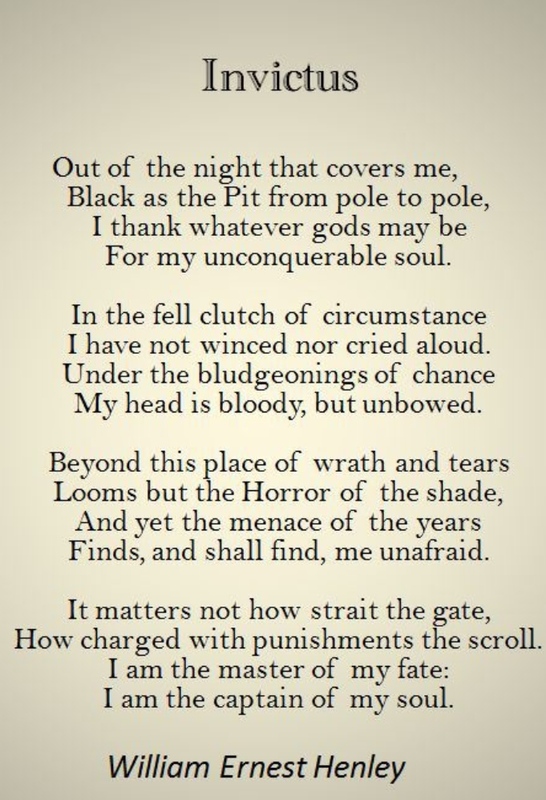 Whenever I have a tough loss, I remind myself of the big picture and what I’m working towards. I’m now looking forward to the next 6 months and I’m determined to keep improving everyday. I will keep you updated through my Facebook and Twitter pages of what I’m doing next. 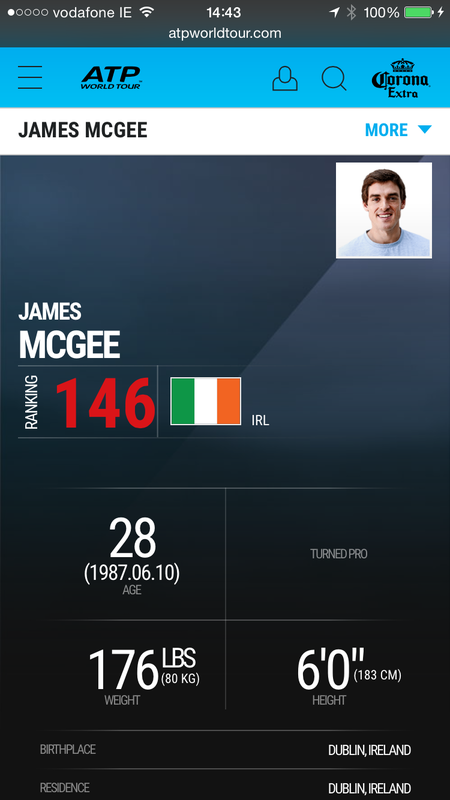 This entry was posted in ATP Tour, Challenger Tour, Finance, General, Grand Slam, Irish Tennis, Sponsorship, Tour Life, Tournament, Update, Wimbledon and tagged Irish Tennis, james mcgee blog, james mcgee ireland, james mcgee tennis. Bookmark the permalink. James, I hope to see you in Knoxville in Nov. I make it a point to go to the Challengers in both Savannah and K’Ville. I have been to Dublin a number of times and know the park you refer to. I occasionally play super senior matches at Olde Towne AC. Keep up the good work, your blog is great. Really enjoyed your motivational quote, and your attitude is really inspiring – definitely worth making the most of the weather here! If anyone else wants to try out tennis in the Dublin area I’ve had a good time booking through this website http://www.mylocalpitch.com/dublin/tennis – thought it might be worth sharing with other local people wanting to play! Good luck James, enjoying the photos!